Idaho Dance Theatre's 30th Anniversary Season 2018-19! Idaho Dance Theatre is celebrating 30 years of creation, innovation, community and collaboration. Moving Forward April 11-13, 2019. Tickets available now! Moving Forward and will include guest choreography by Jenn Freeman that will be performed by Barry Gans. 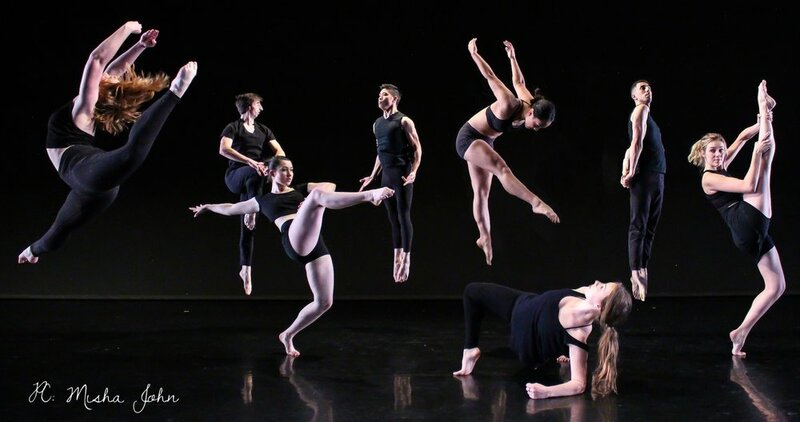 Other other pieces will include choreography by Marla Hansen, Kylie Dimick, Yurek Hansen, Selby Jenkins, Antonio Carnell, Evan Stevens, a collaboration with Open Arms Dance Project, and more. Preview night is April 11th at 7:30pm. Tickets available at door only for $10. There will be no Sunday matinee and two performances on Saturday. LOCATION: Boise State Special Events Center. Address — 1800 University Drive Boise, ID 83706. It’s connected to the BSU Student Union Building near the Albertsons Library parking lot.